Road trip into Chilecon valley: discover the tech ecosystem landscape of Chile! ROAD TRIP INTO CHILECON VALLEY : Discover the tech ecosystem landscape of Chile! In the past two years, I got the chance to witness the Chilean startup scene. From Valparaiso to Puerto Montt, passing by Santiago and Concepcion, this article takes a look at the potential of the whole ecosystem. Media are used to call the place Chilecon Valley. However, if it rings better, it would be more appropriate to call it Santiacon Valley. Indeed, according to different experts, more than 90% of the startups live and operate in Santiago. So what is happening around? Is there something to see outside the capital? That’s the question we wanted to answer with Seedstars this year. Thanks to the support of Corfo, the government entity in charge of entrepreneurship, which truly believes that entrepreneurship can be deployed regionally, we went on a road trip inside the country. … is in Santiago, one of the most collaborative ecosystems of South America, if not the most. The density of entrepreneurs and ecosystem enablers per square meter is one of the highest in the Hispanic continent. Corfo belongs to the staunchest supporters of the growth of the ecosystem. 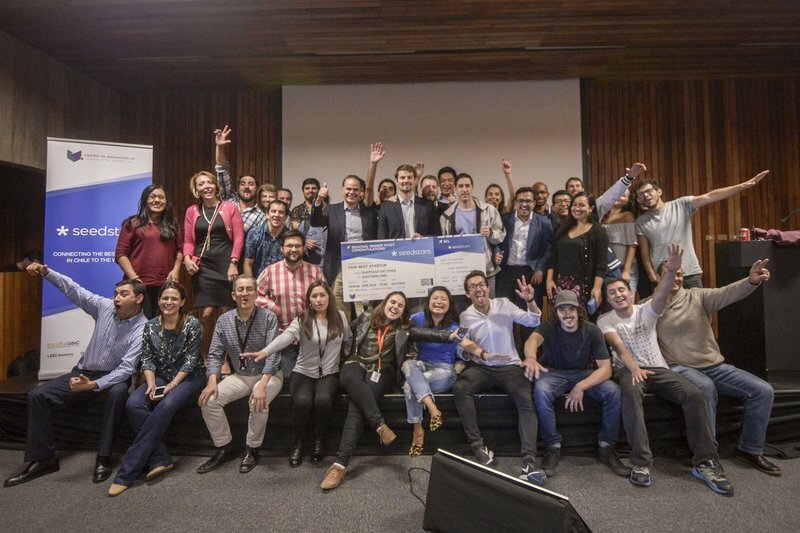 Their accelerator Startup Chile, offering among other equity free funding, free working space and cheap accommodation to more than 200 startups per year, is a world-known example. According to the last statistics, the city boasts with about 18 accelerators/incubators of which 80% are public and equity free, as they are run by universities which are not allowed to own stakes in companies. Incuba UC, the accelerator of the University PUC Santiago is an exception to the rule. For private accelerators, we find the two giants Wayra & Nxtp.labs, followed by ImagineLab powered by Microsoft and Magical Startup, one of the first accelerators born in Chile. Talking about money, 45 VC & PE funds were listed in 2016. One more time, Corfo was a catalyst to attract those funds. Over the past 5 years, Corfo has approved lines for venture capital investment of over USD 635 Million through its debt to capital instruments (for more information, I recommend the excellent presentation here from Mathias Rosenthal). New models to support entrepreneurs accessing capital were also implemented by proper entrepreneurs, such as the crowdfunding platform Broota, also operating in Colombia, which already made 23 investments in Chile. In term of coworking spaces, it is like Chilean wine: You have something for all tastes! Co-work Latam is one of the leaders of the market with 7 differents spaces across Santiago. They offer a lean experience mixed with a professional ambiance very appreciated by startups, freelancers and corporates, such as Uber. With a different value proposition, IF Cowork hosts 5 spaces. They are usually downtown due to a more social orientation of the company and the vision to promote a Techo Community, based on the collaboration & co-creation between the different members. Other important players are Urban Station, which was until this year the host of Startup Chile entrepreneurs or Edge Cowork, founded by Luke Ball, a key enabler of the Chilean startup ecosystem. In terms of prevalence of certain industries, it is a mix. Since last year, we have seen an important boom in fintech. Besides the startup Broota already mentioned above, some players should soon become strong household names. Red Capital, a crowdfunding P2P lending platform. Biotech and cleantech are also rising, especially when it comes to solutions for the mining industry. Since Chile is one of the leaders of the mining industry, being, for example, the first exporter of copper worldwide, innovation will be key to maintaining its market share. By now, you hopefully already get the idea… In Santiago, things flow and move fast. The city also takes one of the top spots for developing markets globally based on our Seedstars Index. Puerto Montt : the challenge to fostering entrepreneurship in a decentralised city and traditionally oriented economy. Puerto Montt was the first stop of our road trip. The economy of this city of around 240’00 inhabitants is based on the fishing industry. The ecosystem is small and the entrepreneurial mindset is still in its early days. fear, with many entrepreneurs still scared or shy to pitch their idea. But we met some dynamic players such as Inacap, with whom we organized the event and Co-Work Latam, which also opened a space there. Another very interesting initiative is CoWo founded in 2013 by a very active team. They aim to support entrepreneurs with a space to work from and through the organization of different meetups and workshops. 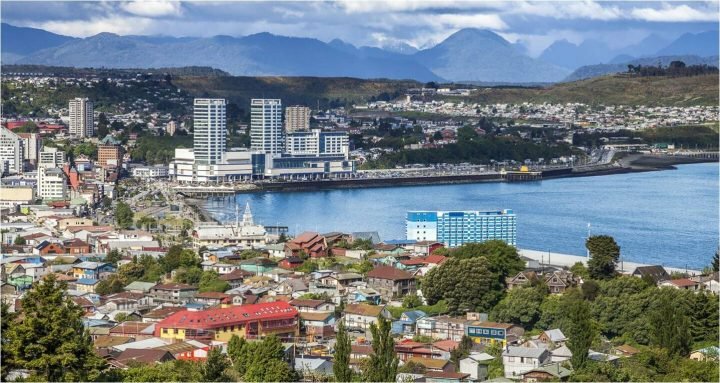 Puerto Montt is waking up and slowly finding its way of doing business and creating value! Concepcion: the pool of talents that may balance Santiago startup empire. Our next stop was Concepcion, the second most populated city in the country, with almost a million inhabitants. With its flourishing economy and a great pool of talents, it boasts an unfair advantage. Incubated UFro (affiliated with the Universidad de la Frontera) and Incuba UdeC (affiliated with the University of Concepcion) were founded more than 10 years ago to support the entrepreneurs and PyMEs of the so-called “BioBio” region, in reference to the river of the same name. In the past 2 years, the ecosystem has grown considerably. Startup Weekend is organized at different times of the year. Startup women Concepcion has been created to foster female entrepreneurship. Startup Chile just opened an office to support the development of the ecosystem. Two main co-working spaces operate in the city: Working House and Urban Station. It even has a TV program dedicated to entrepreneurship. The city appears as an interesting alternative for startups that have high costs of operation, as it is still cheaper than Santiago. This was, for example, a motivating factor for our first runner up of the national final, Coraza Technology to move into the region. Finally, Concepcion may become the first city in Chile to have its own technopark. With 92 hectares dedicated to technology & science, the project has the ambition to host more than 40 companies and should create about 2,000 new jobs. Concepcion is definitely a city on which we should keep a close eye! 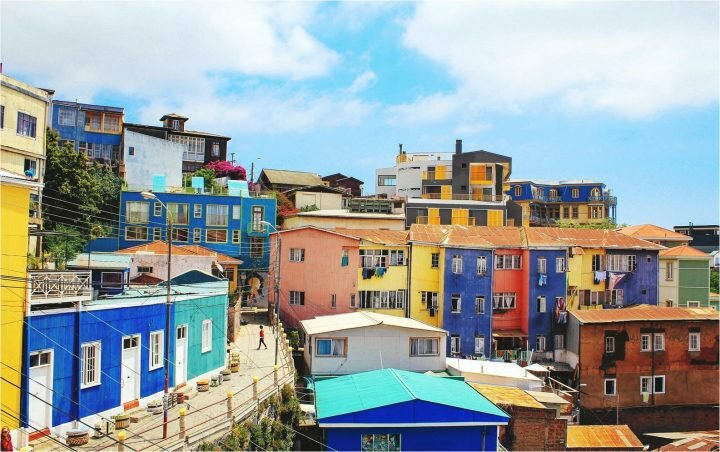 Valparaiso: could the city become the next harbor of tech entrepreneurship? Only one and a half hour drive from the capital, Valparaiso was our last stop before going to Santiago. Similar to Concepcion, the city hosts many different universities, but so far only one incubator, Chrysalis affiliated with the PUC University of Valparaiso. Last year, the incubator opened up its offices in a new space, Hub Global, a 1200sqm coworking which aims to promote high tech fields such as big data, augmented reality and biotechnology. Exosphere, founded in 2012, has a different proposition, fostering technology & impact education through a 12 weeks program. Trying to take advantage of its nice location near the sea, the ecosystem aims to attract local and foreign entrepreneurs. Bearing this in mind, Startup Valpo was created to help international entrepreneurs, investors and talents with their visa and soft landing processes. Other coworking spaces in the region are 3iE, IF Cowork and Housenovo in Viña del Mar, and Startup Chile also recently opened an office here. With this kind of entrepreneurial activity, it is clear that the creativity of this city is not only in the graffiti of the downtown area! The challenges of the 100%: historically open economy looking to push innovation one step further. Even though each ecosystem shows different levels of development, Chile overall demonstrates great opportunities. With the effort to develop the startup culture, the country has an open economy, consolidating 23 trade agreements which benefit 86% of the world population. It is also the Latin American country with the highest smartphone penetration. Ranked 46th in Global Innovation Index, Chile is the runner up of innovation in Latam. However, in comparison to other regions of the world, Chile’s score has not significantly improved and currently doesn’t show any outperformance relative to its level of development. For instance, Portugal or Estonia, which have similar GDP per capita, have achieved better results. If Chile wants to strengthen its innovation & entrepreneurship as key drivers for growth, it will have to work on different challenges. Five years after the implementation of Startup Chile, the country is still waiting for its first exit (last exit know was ClanDescuento acquired by Groupon for 30 million USD). Without government support, accelerators would probably not be able to financially run alone with only 3 or 4 cash-outs. This context makes it also hard to convince the wealthy families of the country to invest in startups. Family offices are still traditional and risk averse, focusing on EBITDA first and requiring exits in less than 5 years. But a new generation of family office’s managers is willing to put their money into more innovative and impactful sectors. Chile is a perfect test market for entrepreneurs, especially for B2B models. Small market with huge corporates makes it an attractive place to experiment and learn before hopefully growing internationally. Unfortunately, market expansion is not as easy as it could appear and most of the startups struggle to grow abroad. Smart engineers but lack of sales skills. No matter in which city we were, we always came to the same conclusion in the discussion with our different mentors: Chile has very smart people building relevant products, but lacks important sales skills. Monetization strategy is still one major pain point that needs to be addressed. Chile is for sure a country that will grow its footprint on the innovation map and the first reason for this is because it wants it. Next year will be the end of the 2014-2018 Growth, Innovation and Productive Agenda (GIPA) government plan and a good time to see what has been achieved and what still needs to be done. Below are mentioned 3 key actions that could leverage Chile’s potential. It is neither possible nor useful to copy Silicon Valley! Chile should focus on creating its own innovation environment with its strengths and targeting leading sectors. Fostered by the importance of its mining industry, which represents 55% of Chile’s total export, the country has a strong position in bio and nano-technologies, as well as in environment-related technologies. Value-added food processing and agritech are other strategic industries to diversify the country’s economic structure. An example of this is the startup the Not Company, that uses machine learning on a molecular level to create animal product substitutes. Projects like the BioBio Technopark of Concepcion could be the appropriate spaces to create such sectoral clusters. Chile is an excellent test market, but it is too small. The bridge that the government has started building back in 2012 with Startup Chile was a promising in-road to the country. To ensure the growth of their local startups, it is key to build the out-road to international markets. Such a bridge should allow a better transfer of knowledge with a special focus on exporting knowledge and technology Made in Chile. Back to the GII Index, Chile is ranked very low (91st place) when looking at the percentage of TICs exports compared to total exports. Being such an open economy presents an unfair advantage that should facilitate the traffic on this tech bridge. If the bridge is strong enough, the valuation of the startups should increase with their expansion into other markets and most likely, the chance of exit should be higher as well. Additionally, access to foreign capital would be facilitated too. One question still remains. How should Chile ensure that companies stay inside the country even when they grow? This is one of the main concerns Startup Chile is dealing with, with a retention rate of only 32% of the startups they work with. Pension funds are only allowed to invest in foreign funds that have been approved by the Chilean Risk Rating Committee. Software exports are still subject to double taxation. Opening a bank account for non-residents requires long and painful processes. New appropriated regulations such as the recently announced Tech Visa for founders and tech employees (see here the article of Nathan Lustig, Founder of Magma Partner) should allow to create a betterenvironment for businesses. Last but not least, the main feedback we got from our community of mentors was the lack of driven entrepreneurs. Some also mention that the easy money given by the government is one of the causes of this hurdle. Maybe it is, since the lack of internal competition or the lack of strong role models fosters this kind of “Laissez-faire” attitude of the entrepreneurs. There is no clear answer to the question, but fostering education at university levels and ideally primary levels by encouraging students to pursue entrepreneurial careers is for sure one way to get there. I had the chance to take part in the competition of Escuela de Ingeniería de la PUC Santiago, where students had to pitch a business project on which they worked, focused on natural disasters. I was amazed by the professionalism and the inventiveness of those young talents. Their pitches were not far from being perfectly structured and their English skills were also quite remarkable. I hope to see some of them pitching in one or two years at the Seedstars local competition. The year 2018 is going to be an important one for Chile, as the presidential elections will take place. And if Chile wants to be in the top 20 of the most innovative countries worldwide, the policies toward innovation and entrepreneurship should be liberal, with strict and efficient investments in education and research.